August 2016 Newsletter - Schanker and Hochberg, P.C. Indeed, his advice holds true about saving money and acting conservatively with your funds; however, what if the “wants of tomorrow” are not your own wants, but rather the “wants” of a creditor? Again, Aesop’s advice holds true – it is thrifty to prepare for today for the creditors who may be knocking on the door tomorrow. But how to prepare? Of course, there are outer limits on how much preparation you can do. One such outer limit is the so-called Fraudulent Conveyance Rule, which renders invalid any transfer of assets made with the intent to defraud creditors. However, barring invocation of the Fraudulent Conveyance Rule, there are a variety of ways you can structure your assets to provide you and your family with a greater degree of creditor protection. The creditor protection afforded to different types of assets is largely a creature of state law. In New York for instance, life insurance – both the cash value and the proceeds of the policy – is protected in the hands of the beneficiary from the creditors of both the owner and the insured. If your spouse is the insured, the protection goes even further – the cash value and the proceeds will be protected from the creditors of the owner, the insured, and the beneficiary. If your spouse is not the insured, the creditor protection can be increased by using an Irrevocable Life Insurance Trust to be the owner and the beneficiary of the policy. This is a wise move to protect the proceeds of a policy from the creditors (or predators, such as a potential ex-spouse) of the beneficiary. Annuities, too, are afforded greater creditor protection than say, bank accounts or simple cash. Under New York Law, the beneficiary’s interest in an annuity is not subject to the claims of a creditor unless a court so orders. While an annuity is not quite as “bulletproof” as life insurance, it is still afforded a good deal of protection. For other assets, such as real property, the creditor protection afforded under state law – at least in New York – is rather low. However, there are a variety of estate planning techniques that can be utilized to protect the asset from the claims of creditors. One such technique is the use of an Irrevocable Trust, whether that be a Qualified Personal Residence Trust, a Gift-Giving Trust, or a Self-Settled Trust, the last of which is only permitted in certain states. These Trusts can afford greater protection from both your creditors and those of the ultimate beneficiary. Another technique is to create a business entity to be the owner of property. This type of planning involves the formation of a Limited Liability Company (LLC) or Corporation which, by their very nature, create a layer of asset protection. This type of planning is particularly appropriate for those who may own rental property. Schanker and Hochberg, P.C. is highly adept at creating estate plans or asset protection strategies to increase creditor protection. If you think that this sort of plan would suit your needs, or you are in a “high risk” profession, contact Schanker and Hochberg, P.C. to discuss – in the words of Aesop – preparing today for the wants [of creditors] tomorrow. Joint Revocable Living Trusts; Watch Out! We continue to meet with clients to review Estate Plans prepared elsewhere which include a “Joint Revocable Living Trust.” Joint Revocable Living Trusts are very troubling and it is our strong recommendation that married couples create separate Revocable Living Trusts. Generally speaking, a Revocable Living Trust is a ‘Will-substitute.’ It directs distribution of assets and management of the Estate at time of death. The huge advantage of using a Revocable Living Trust instead of a Will is that Probate can be avoided. Thus, frustration, delays, and significant expenses can also be avoided. Joint Revocable Living Trusts have been attractive from a selling-point perspective because you have one document for two people. However, if you look closer at how these Trusts work, you will see how complicated and frustrating they can be. The Joint Revocable Living Trust becomes Irrevocable after the first spouse dies. If there are any changes in circumstances that affect the surviving spouse’s plan as to Estate management or distribution of assets, he/she has a lot of red tape to cut through (at significant expense) to terminate the Trust and implement a new plan. Separate Trusts allow for easy Amendments. There is increased exposure to Creditors with a Joint Trust. If either spouse is sued, all assets in the Trust are vulnerable. This is not quite the case if there are separate Trusts. Estate Tax planning within the Trust itself is very complicated with a Joint Revocable Living Trust. It is harder to attribute the assets to the deceased spouse for the purposes of funding a Credit Shelter Trust and preserving an unused Estate Tax Exemption at the time of the first death. Separate Trusts make the process of allocating assets for this purpose easily defined. Many Attorneys in “Separate Property” States, such as New York, still use these Trusts. However, there is really no advantage whatsoever to using them unless you are in a “Community Property” State. It is important to separate these Trusts prior to an incompetency or death of either spouse if you live in a “separate property state” such as New York, New Jersey, or Florida. 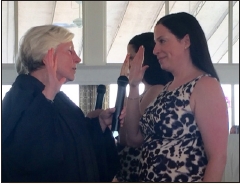 Andrea B. Schanker, Esq., was installed as the President of the Huntington Lawyer’s Club in June, 2016. 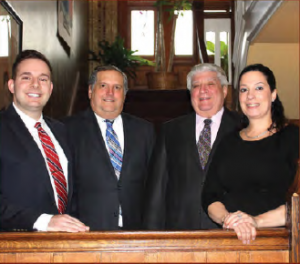 The Huntington Lawyer’s Club is a private Lawyer’s Club that dates back to 1934. The Club holds monthly meetings (with the exception of the month of August) at local venues in Huntington. There is always a guest speaker to address the members. Guests are welcome as are Sponsors who help support the Club while garnering networking opportunities for themselves. Andrea and her husband, Michael Abruzzo, welcomed their second daughter, Sylvia Grace, into the world on February 23, 2016. 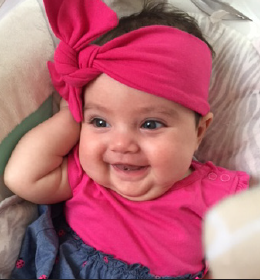 This makes grandchild number two for Partner, Steve Schanker, Esq., who is also excited to welcome grandchild number three into the world in August from his youngest daughter, Blaire Byron, and her husband, Jason Byron. Elder Law is a particular specialty in the practice of Law that focuses on the needs of the ‘aging population.’ It encompasses general Estate Planning needs (Wills, Trusts, Powers of Attorney, and Health Care Directives). Elder Law, however, requires the collaboration of Estate Planning needs with concerns about strategies to qualify for Medicaid, continued Medicaid benefits, asset protection and preservation, disability planning, conservatorship and guardianship proceedings, long-term care placements in nursing homes or assisted living communities, retirement planning, and many other issues specific to the aging population. If you have an Elder Law issue, or you think you may have one, you should only entrust this planning to an experienced Elder Law Attorney. Not all Estate Planning Attorneys are experienced with dealing with Elder Law issues. It is important to have an experienced Attorney not only for his/her legal experience but also his/her human experience with the process. Often times, the legal answer may not address the human, practical side of the issue; there is always a balance that must be achieved. Planning has to accommodate the client’s needs as well as their comfort. In our last newsletter, we wrote about inter-jurisdictional issues that may arise with living wills and health care proxies. Much like living wills and health care proxies, the power of attorney is a critical lifetime document. It authorizes another person (or persons) to act on your behalf in the event of incapacity. Unlike a health care proxy, however, the person named would not make medical decisions, but would engage in necessary activities on your behalf such as paying bills, dealing with government agencies, and otherwise managing your personal, legal, or financial affairs. 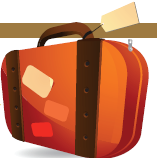 What happens if you are travelling and you become incapacitated or comatose while in a different state or foreign land? Will your directives and appointments validly made in your home state be honored in whatever jurisdiction you chose to travel to? Or will the foreign jurisdiction require you to undergo a costly and arduous guardianship proceeding? Thankfully, and unlike the issue involving living wills and health care proxies, there is a uniform act governing powers of attorney. The Uniform Power of Attorney Act has been adopted by 21 states (as of this writing); a provision in the Uniform Act recognizes out-of-state powers of attorney so long as the out-of-state power was validly executed in either (1) the jurisdiction specified on the power or (2) the jurisdiction of execution. However, despite the uniformity among the 21 states that have adopted the Uniform Act, there are still 29 states (plus the District of Columbia) where there is no absolute uniformity. Indeed, the five most populous states – California, Texas, Florida, New York, and Illinois – have not adopted the Uniform Act; thus, a large bulk of the population remains outside the realm of uniformity. will recognize a power of attorney from another state or jurisdiction so long as the out-of-state power was executed in compliance with the law of that state or jurisdiction or the law of New York. A similar provision exists under the laws of California and Illinois. Florida also recognizes out-of-state Powers of Attorney, but does not require that financial institutions accept such a power unless it is accompanied by an “opinion of counsel” as to its validity. There are still a few states where the enforceability of a validly-executed out-of-state power of attorney could cause problems. One such state is New Jersey, which lacks a clear statutory authorization for recognition of out-of-state powers of attorney. Furthermore, because many states – like New York and Texas – have promulgated a so-called “statutory” power of attorney, there is a risk that, despite the stated recognition for out-of-state powers of attorney, the out-of-state power will not be accepted within a certain jurisdiction because it is not that jurisdiction’s “statutory” power. As stated in the last newsletter, foresight can help avoid a potentially costly situation for you and your family in the event that you become incapacitated while travelling in another jurisdiction. If you spend regular, recurring, or otherwise significant time in another jurisdiction, contact Schanker and Hochberg, P.C. to discuss additional planning that can be done to ensure your power of attorney is honored no matter where you may be. Alabama, Arkansas, Colorado, Connecticut, Hawaii, Idaho, Iowa, Maine, Maryland, Montana, Nebraska, Nevada, New Mexico, Ohio, Pennsylvania, South Carolina, Utah, Virginia, Washington, Wisconsin, and West Virginia. At the initial consultation, the needs and objectives of the client will be discussed and evaluated as will be the documentation requested above. A detailed and comprehensive summary letter (also serving as a proposed retainer agreement) will be prepared and sent to the prospective client. Schanker and Hochberg P.C. will require a reasonable, consultation fee for these services as the time required is extensive and real strategies are developed directly at this initial consultation. An Elder Law attorney deals with clients in their most vulnerable time in their lives and is often a trusted advisor for the rest of life. Schanker and Hochberg P.C. not only prides itself on our legal expertise but also on our ability to comfort our clients and accommodate their practical needs as well. Schedule a complimentary appointment to review existing Estate Planning documents in our Long Island Office, our Manhattan Office, or our New Jersey office. Contact us at our main telephone number at (631) 424-5400. Please see our website at www.schankerhochberg.com for our location addresses. New Jersey recently enacted the Uniform Trust Code (UTC) which became effective on July 17, 2016. The UTC applies to all Trusts – both existing and new – and provides for much greater flexibility for Trust planning than under the prior laws of New Jersey. This is a great time for New Jersey residents to revisit their existing planning and determine if it is appropriate to make some changes that they otherwise could not do prior to New Jersey’s adoption of the UTC. “Shhhhh”, the UTC allows for secret Trusts which essentially means you can keep the existence of a Trust a secret from your beneficiaries until the beneficiary attains age 35. 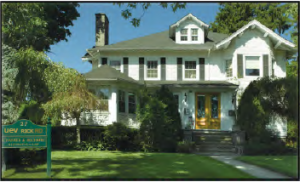 Even at age 35, the Trustee does not have to “inform” (provide a copy of the Trust and provide information regarding the investment and management of the Trust property) the beneficiary of the Trust unless approached directly. You can modify an Irrevocable Trust without a Court Proceeding. This is similar to New York’s ‘decanting statute’ and can be quite helpful when significant changes in a beneficiary’s circumstances change what you initially planned for in the Irrevocable Trust. Supplemental Needs Trusts (Trusts specifically created for individuals with disabilities) are clarified and creditor protections of these Trusts are strengthened under the UTC. These are just a few of the offerings under the UTC. In general, the UTC provides for much greater flexibility regarding the administration and management of Trusts. reserved. All materials, content and forms contained in this newsletter are the intellectual property of SCHANKER AND HOCHBERG, P.C. and may not be copied, reproduced, distributed or displayed without SCHANKER AND HOCHBERG, P.C.’s express written permission. Steven Schanker received a Bachelor of Arts degree from the University of Rochester and his Juris Doctor from St. John’s University School of Law. He is admitted to practice before the Courts of the State of New York, the Eastern and Southern Districts of the U.S. District Courts, and the Supreme Court of the United States of America. The primary office of Schanker and Hochberg P.C. is in Huntington Village in a restored, turn-of-the last-century Victorian home. The practice focuses on all aspects of Estate Planning, Business Disposition Planning, Fringe Benefit Planning, Elder Law, Estate Administration, and Special Needs Planning. R. Mark Hochberg, Esq. and Steve Schanker have been partners for thirty years. Steve’s older daughter, Andrea B. Schanker, Esq. is a Partner in the firm. Steve’s other two daughers are special education teachers. Mr. Schanker resides in Huntington, with his wife, Carol, who is an accomplished artist. He is also a very proud “grandpa”.